Sherry Moore would do anything for her confidant and best friend, retired Admiral Garland Brigham. So when he suddenly asks her to assist a team of U.S. Navy SEALs in a daring high-altitude rescue on Mount McKinley, she doesn’t hesitate and soon finds herself flying across the country to hang vertically off an Alaskan cliff, tethered to Captain Brian Metcalf. Sherry, renowned for her ability to see the last eighteen seconds of a deceased person’s memory, takes the hand of a dead climber, hoping to ascertain the whereabouts of his missing climbing team. But what she sees leaves her with visions that will haunt her long past Alaska. 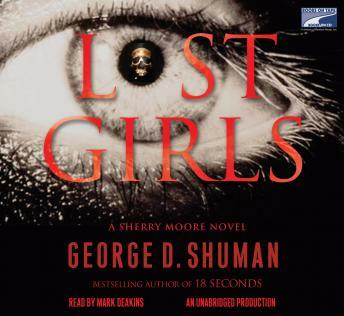 While rumors of slave girls being trafficked around the Caribbean have circulated for years, little credible evidence has been uncovered about these “lost girls.” When detective inspector Rolly King George recovers the body of a young blond woman, naked except for a shocking tattoo branded onto her cheek, he knows she may hold the key to toppling this criminal underworld. Through delicate back-channel negotiations, Sherry arrives in Kingston, Jamaica, to see the deceased and finds that things are more complicated than she thought: the remains are of Jill Bishop, an American teenager last seen in a Santo Domingo marketplace.